The Android users often use some sort or variety of tools which will let them explore the hidden features or access the Administrator rights of their phone. Minimal ADB and Fastboot commands are also the part of that kind of tools. These tools work on command-line instructions which will help you access different types of hidden features in your phone. ADB and Fastboot tools are frequently used by the developers or users to unlock Android phone or root Android device. These two tools simply help the users to root their device by preparing a command-line program to accomplish the aim. What is the Difference between SDK and ADB? Google Software Development Kit (SDK) is basically an Android Kit which will help you to develop a command-based Android app along with its testing as well. This is provided by Google to ease the task of the developers. ADB (Android Debugging Bridge) is just the part of SDK which allows you to debug the system or simply we can say that ADB will help to remove the errors with the help of Command-based program. You can download Android Studio package to develop and test the Android apps if you are a developer or interested in this field. Though this entire package of Android studio is of the 800MB size which is pretty annoying, we strongly recommend you to download the entire package on your PC. These two tools will also help you to unlock the device bootloader in just a few lines of commands. The majority of the Android users uses these tools whenever they want to root their phone because they are very compatible with almost all Android devices. That’s why these tools are quite popular among users and software developers too. Debugging of your device can also be done by using the Minimal ADB and Fastboot tool. As we had mentioned above, these tools are command-prompt, that’s why every function require a set of commands to work for. Talking about the installation process and file size after the installation, these two tools are very easy to install on your PC. Both tools are present in one installer package file which have an extension as “.exe”. These tools have the same process of installation like as the other software packages have. And if you compare the file size after the installation of Minimal ADB and Fastboot tools with the Android Software Development Kit (SDK), then you will find that ADB tool is just occupying a space of around 2MB on your Hard disk whereas Android SDK will almost occupy around 2GB of space in the hard drive. Because both of them have pros and cons, so it is up to you that either you require a full version or may require a small version. Step 1. 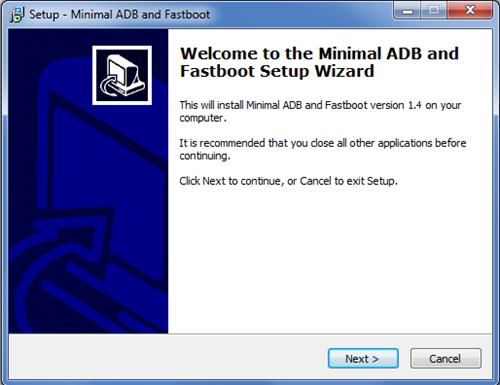 Just launch the installer package file of ADB and Fasboot tools to proceed with the installation process. Step 3. After you proceed by accepting the terms and conditions, the screen will display the storage path where the ADB tools folder will be created. Step 4. Click on the “Next” and then it will ask to create the desktop icon of Minimal ADB and Fastboot. Just proceed the installation further by clicking on “YES” icon. The installation process will hardly take 1 or 2 minutes and then it will be completed. Step 5. Then just Reboot your PC so as to ensure the smooth functioning of Minimal ADB and Fastboot Tools. Step 6. After that, just click on the icon displayed on the Home screen of Windows. When you launch the application, you will see the command lines in a sequence which you can use to root or Debug your device. Step 1. Open the Settings app in your Device and click on the “About Phone” icon. Step 2. After you open the “About Phone” of your device, you will find an icon named as “Build Number”. Just click on that icon for almost 7-8 times. After you are done with the second step, the screen will display a message “Now you are a developer” in front of you for a few seconds. Step 3. Go back to the setting list and open the “Developers Option” followed by enabling the “USB Debugging” option there. You can get the full steps to enable USB Debugging on Android here. Step 4. After you enable the USB Debugging, just connect your Device with the PC by the means of USB Cable. To detect your device in the ADB tools, just type “adb devices” in the command lines of ADB tools windows. Step 5. After you text “adb devices” in the ADB tools command window, you will get a notification asking “Allow USB Debugging”, click on “OK”. Then you will see your device name displayed in the ADB tools command window. 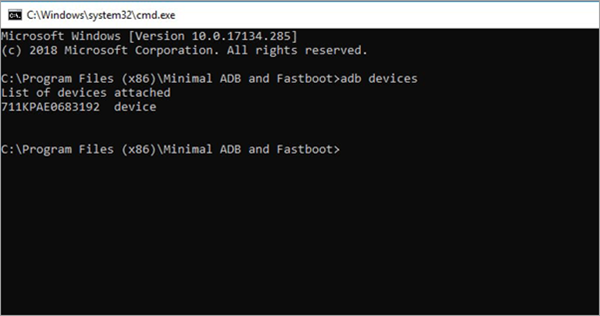 Now, you are all done with installing the ADB and Fastboot tool and connecting the device to ADB tools via PC. Please note that ADB and Fastboot tools are compatible with both 32-bit and 64-bit operating system (OS). As we had mentioned above, installing the latest version of ADB tools will let you explore more exciting and amazing features. So, please make sure that you will download the package installer of ADB tools from the link given above. After the device is connected with the ADB tools via PC, you have to install the ADB USB Drivers which are available for Android devices after allowing the device in USB Debugging mode. If you want to root or debug the device, just learn the commands which can be entered manually in the ADB tools command window. There are also so many other tasks which you can do by using ADB tools. 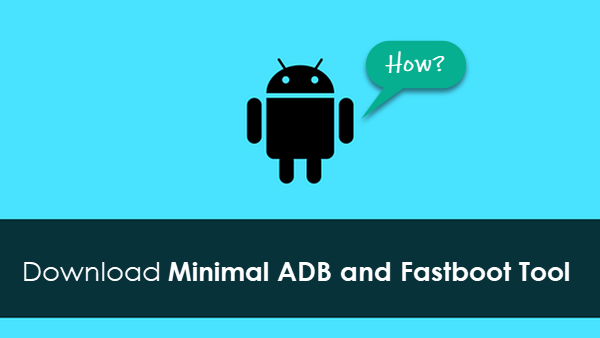 Overall you will definitely find Minimal ADB and Fastboot tools as the best alternative to the Android SDK Android studio. As we had mentioned above, if you want to develop an Android app or to gain some knowledge about the development of the app, then you can definitely install the entire Android studio package. These technology stuff are pretty good and quite easy to accomplish your task of rooting or debugging of your device. We had personally tested these tools in our PC and devices, and had found these recommended tools to be the best alternate of Android SDK. There are also many other Android tools which are available on the internet for rooting the Android device, but we had picked the best tools for you. Just in case, if you found any issues with the functioning of these tools, then you can share it in the comments section.